Discover how people all over the world have been using Mother Nature's herbs and plants for first aid and pain reduction. My website is a fun and educational learning experience. So I Had A Sick Kitty. . . I cannot wait. Enough Snow and cold. This one, the black and white one. And this one (below) is her partner in crime. They do stuff like this. . . I can reach that pepperoni. OK, back to the sick cat. I always use oils on my cats. They don't like the smell but it takes care of the problem. I put a drop of RC on the palm of my hand and rubbed her hind foot through it. Sometimes I just rubbed the palm of my hand on her chest. She had a sneeze and cough. All Better Now! I also diffused Christmas Spirit. 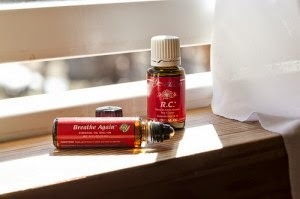 I find that this is a great oil to build the respiratory system. Oh and for those dirty ears of his I use V6 oil (4 or 5 drops) with 1 drop of Purification oil on a cotton ball and swab his ears. Keeps the mites away. Oh, and I used Young Living Oils on my dogs too. Saves us money on the vet as it usually takes care of the problem. and have learned a lot from this gal. Link Here.